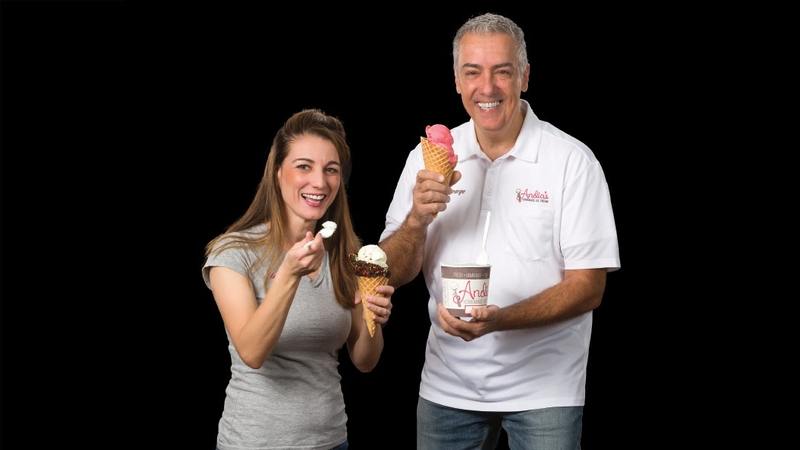 George and Andia Xouris attribute their success to great ice cream and the friendly atmosphere of their shop. “We’ve met some amazing people, some amazing families, and really connected with them,” says Andia. 2016>> Andia’s son, Alex, wrote to Cary Magazine to share the inside scoop on her small-batch, soon-to-be-famous ice cream and sorbets. 2017>> Andia and her husband, George, both graduates of the Frozen Dessert Institute, opened their first retail location in Cary. Cold calls>> Andia’s caters for weddings, parties and corporate events. Local sources>> Include rBST-free milk from pasture-raised cows. Yum>> Among the shop’s 21 rotating flavors are standouts like salted caramel, black raspberry and mocha macchiato. The buzz>> Andia’s French vanilla ice cream won second place at the National Ice Cream Retailers Association convention in November. Corrie Ismaili was on track to become an attorney, but Maggy voters are sure glad she changed direction. Cheery, trendy and true are among the goals of her popular shop, where home décor hangs out with unique gifts and fun accessories. Toss in onsite monogramming and ready-made gift baskets, and it’s no wonder readers flock to Ismaili’s latest finds. “I’ve put a lot of thought, effort and research into building the Halie’s Boutique brand and making it unique,” she says. Every Maggy honoree list in the history of the Maggy Awards has included at least one name: Swagger. Owner Mandy Becker has become a style go-to as the voice of Swagger, adding clothing and accessory lines to her popular gift boutique along the way, and expanding into a second location in fall 2017. Becker says she’s “wired” to go above and beyond in everything she does. Her favorite accomplishments? Call it a Southern thing, but Texas-born Samantha James believes hospitality is key to Pink Magnolia’s success. With two locations and enough happy customers to land yet another Best New Clothing Maggy, she’s probably right. Voted last year’s best new business, Pink Magnolia is only getting better as it offers grown-woman modern chic to customers who appreciate the something-for-everyone vibe. Keith Ramsey grew up in his mom’s florist shop and sold plants from the trunk of her car. And when he planted the seed that would become Garden Supply Company, it was a simple three-man team. Just like its Cary hometown, this green-thumb business has grown. 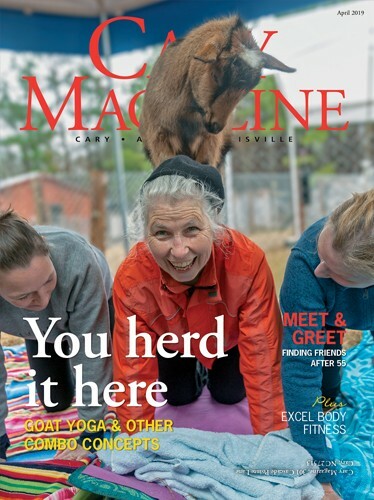 The home and garden powerhouse now boasts more than 40 friendly employees, and locals rely on them when it comes to their own gardening and landscaping needs. Plants — check out the handy online plant finder — landscaping services, home décor, gifts and even interior design: This is the Garden Supply of today. 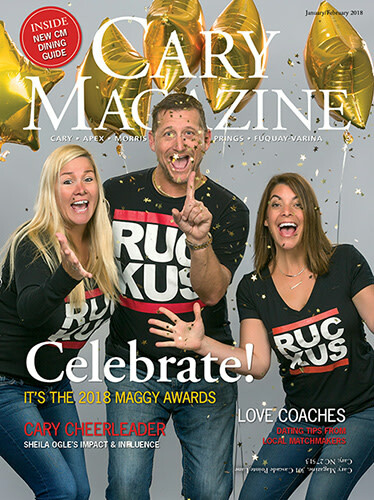 Presenting the 2018 Maggy Awards!